Great for extremely small parts and light capacity. Adjustable feet with leveling bubble. Features an AC/Adapter charger and built-in rechargeable battery with low battery indication. 3 lines of .5"H. 7-digit high contrast auto backlit LCD display (gross weight, unit weight, count). Platform measures 4.7 x 5.3". Selectable auto shut-off to save battery life. Full numeric keypad with LB/KG mode switching. Insufficient sample alarm and auto piece weight enhancement. Removable platform for quick and easy clean up. 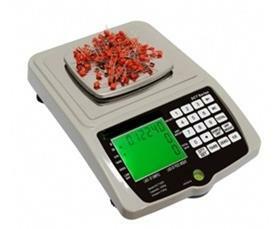 Scale must be used in draft free, vibration free environment. Scale dimensions: 12.5 x 8.5 x 3H". FOB Shipping Point. 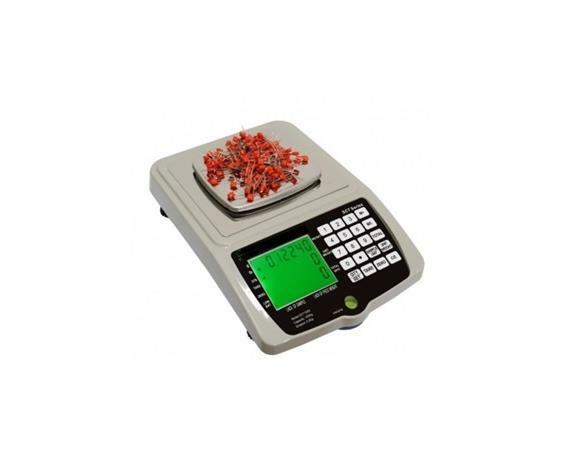 HFED-SC-T600 1.32 lb. x 0.00002 lb. 600 g. x 0.01 g. 0.000002 lb. HFED-SC-T1200 2.64 lb. x 0.00005 lb. 1200 g. x 0.02 g. 0.00005 lb.